Best described as the king of Juju music as well as a major inspiration to younger Nigerian artists such as Lagbaja, King Sunny Ade has come a long way in the Nigerian music industry and beyond. The iconic singer holds many impressive records, titles, and awards, some of which are yet to be surpassed by any Nigerian singer or entertainer. For instance, King Sunny Ade is the only Nigerian to have received two Grammy nominations in his lifetime. He has been recognized severally both within and outside his home country for his contribution to the world of music, including being inducted into the Afropop and Hard Rock Cafe Hall of Fame twice. Dubbed ‘The Chairman’, the Afropop legend, to date, is considered as one of Africa’s most influential artists and West Africa’s number one juju king. As someone who boasts an impressive stint in the music industry, King Sunny Ade’s personal life as well as his career has always been a subject of interest to his fans across the world, hence, the reason for this article. Read on to know more about him. The veteran music star was welcomed into the world on the 22nd day of September 1946, in Ondo City, Ondo State. He was born to a mother who was a trader and father who was a church organist. Born into a royal family, Ade was named Sunday Adeniyi Adegeye after his birth. As for the names of his siblings and other details about his background, they are yet to be made public. 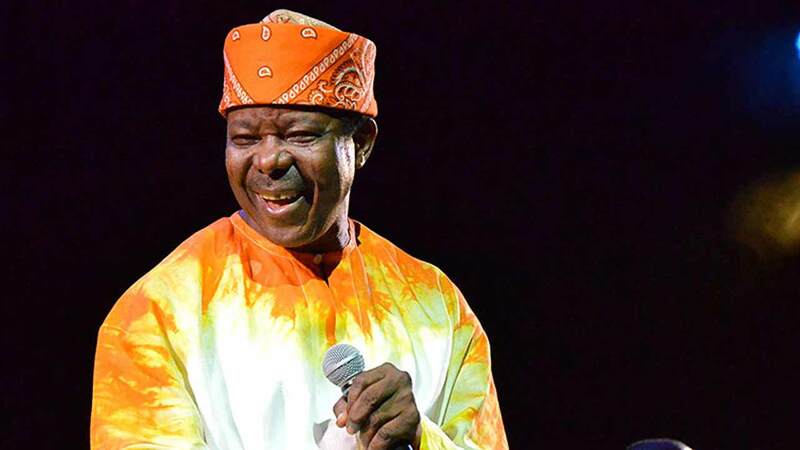 Regarding his education, King Sunny Ade attended a grammar school in Ondo but later dropped out after a few years to join the Lagos-based highlife band, Federal Rhythm Dandies. King Sunny Adé’s musical career began in Lagos, in 1960 when he joined singer Moses Olaiya’s highlife band called Federal Rhythm Dandies. Seven years later, the singer launched his own band called The Green Spots, which he later renamed to African Beats and then to Golden Mercury. Famed for his classic guitar touches and dancing steps, Adé has embarked on several tours within Africa as well as in Europe and America. He released his debut album titled “Juju Music” in 1982 under Island Records while his second album titled: “Syncro System” was released a year later. The latter earned him his first Grammy Award nomination while “Odu”, which he released in 1988 earned him his second Grammy Award nomination. As it is common with a few Yoruba artists, the Afropop star’s music is characterized by instruments like the guitar, vibraphone, clavinet, the talking drum, tenor guitar, and praises of dignitaries, which most times, records the oral tradition of the Yoruba tribe. He has also collaborated with notable stars like Steve Wonder, Bola Abimbola, Wasiu Alabi Pasuma, and Manu Dibango. Besides his illustrious musical career, King Sunny Ade has a nightclub, a studio for budding musicians, a performing arts center, and foundation. He also lectures at the Obafemi Awolowo University, Ile- Ife. A recipient of the national honor of Member of the Order of the Federal Republic, King Sunny Ade was rewarded for his immense contribution to world industry at the International Reggae and World Music Awards in 2008 and was also inducted into the Afropop Hall of Fame, at the Brooklyn African Festival in the U.S in July 2009. His music has featured in a handful of Hollywood movies. In 1983, his song played in the film “Breathless” as well as in the 1986 comedy series “One More Saturday Night”. He was appointed a ‘change’ ambassador in March 2017 by Nigerian minister Lai Mohammed. The chairman’s marital relationship has always been a subject of interest in Nigeria. Considering the fact he is successful and handsome, many believe he has all it takes to win the hearts of ladies. 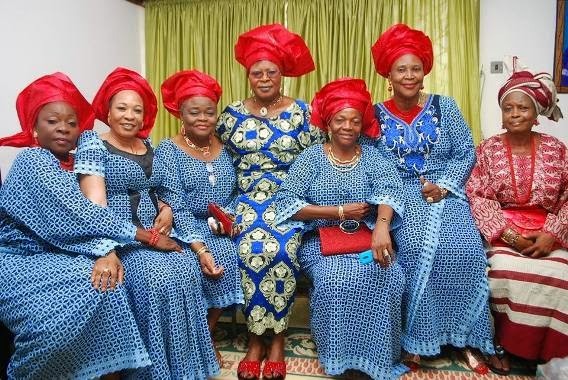 Currently, the Juju maestro has seven women in his life. Though the time he got married to each of them is not detailed online, one outstanding thing about Ade’s relationship with them all is that he loves them equally and seems to be very fond of them. The singer left many tongues wagging on social media in January 2018 when he shared a photo of his seven wives, causing many online users to believe he is still in the age-long culture of polygamy. Also attached to the picture was a short message that read: “My Women Crush Wednesday” a photo of himself looking very excited. Talking about his children, the singer has over 15 fifteen children who came from his relationships with his wives. As of 1989 when he released his controversial song Wait for Me, King Sunny was already a father of 12. At the time of writing, the number of his children is not known to the public but the singer sure has so many children who make up his vast empire.